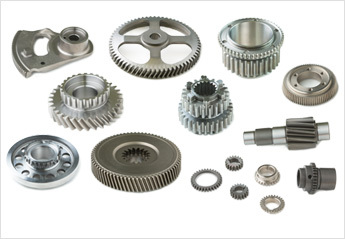 With one of the highest precision gear production capacities in the Chubu region, MIYAKE is a comprehensive manufacturer of everything from prototypes to mass production gears in a diverse range of fields including automobiles, motorcycles, general-purpose engines, and IT equipment. The company is founded as Miyake Seiki Kogyosho on Nanyo-dori, Minami-ku, Nagoya-shi. To meet the growth in business, Miyake Seiki, Ltd. is established in Nishimatabee-cho, Minami-ku, Nagoya-shi. The Meiho Factory is opened in Yutaka, Minami-ku. The Odaka Factory is opened in Odaka-cho, Midori-ku. To meet the growth in business, the company is reorganized into MIYAKE SEIKI CO., LTD. 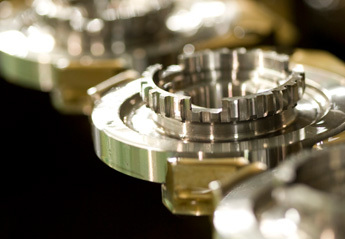 The Meiho Factory is rebuilt, and the integrated production of automotive gears for Honda begins. The Odaka Factory is rebuilt into a three-story building, and the automated CNC lathe line is expanded to increase blank processing capacity. All factories are equipped with heating and air conditioning, and automated CNC lathe and CNC gear-cutting machines are added. The Tokai Factory is opened in Nochidori, Tokai-shi. The Head Office Factory and office are moved to the current location. The second head, Masami Miyake, took the position of president of the company. A 3D coordinate measuring machine is purchased and the quality inspection system is improved. The third head, Hideyuki Miyake, took the position of president of the company.